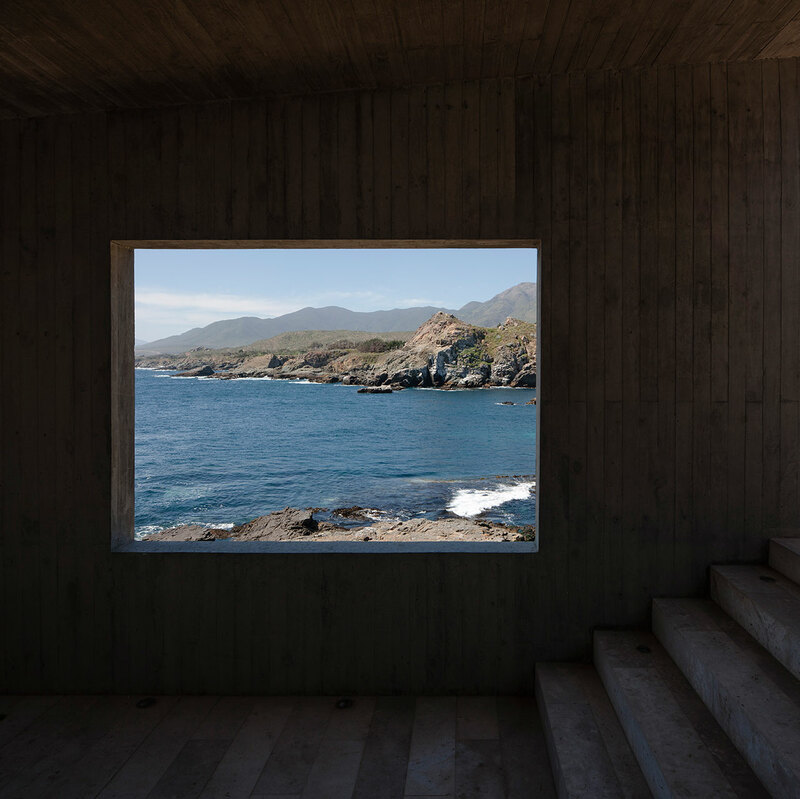 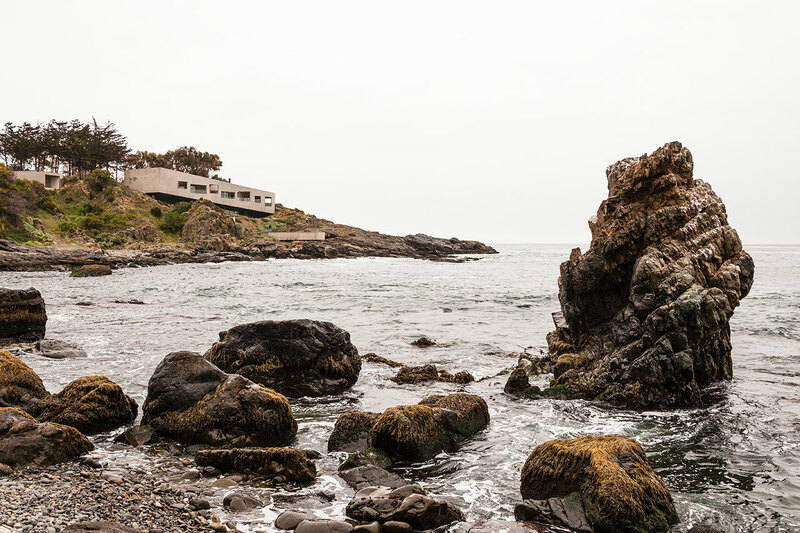 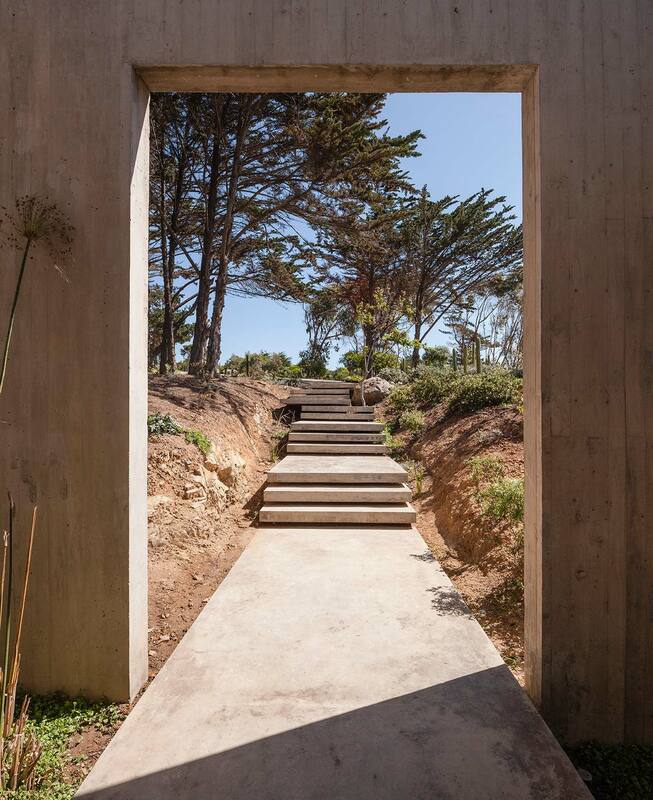 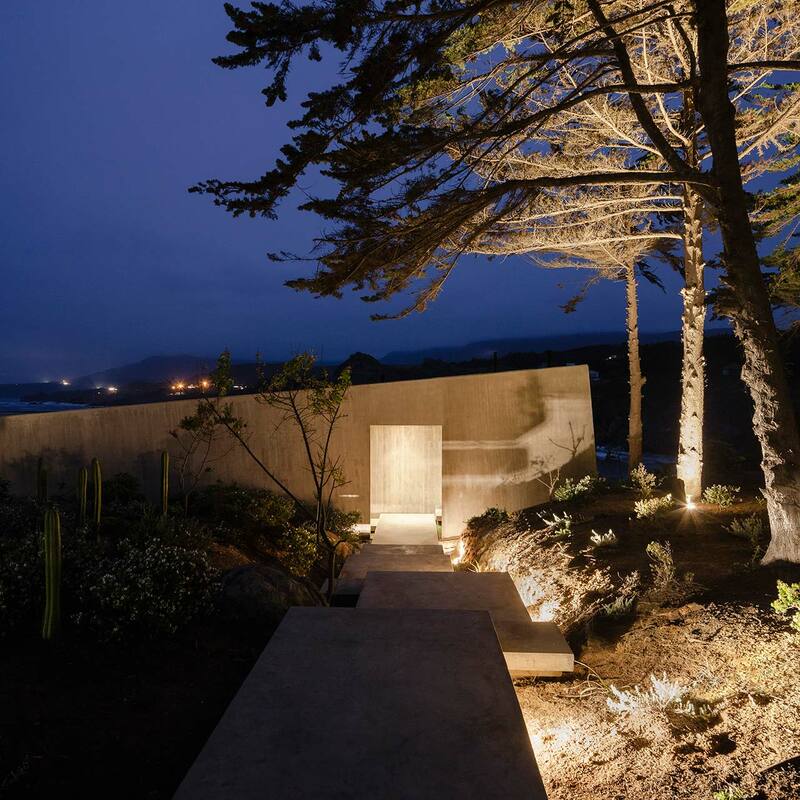 Located on a cove near the coastal community of Los Vilos in Chile, Bahia Azul House sits atop a rocky promontory overlooking the Pacific—although it would be more accurate to describe its position as reclining. 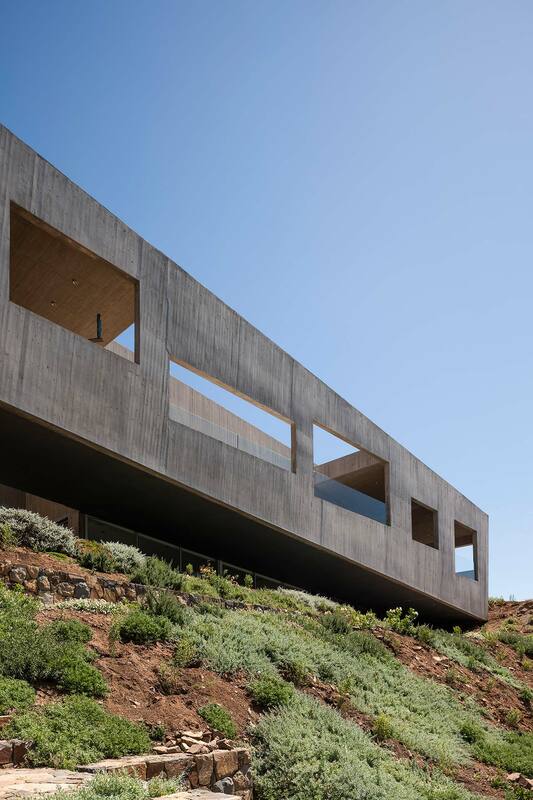 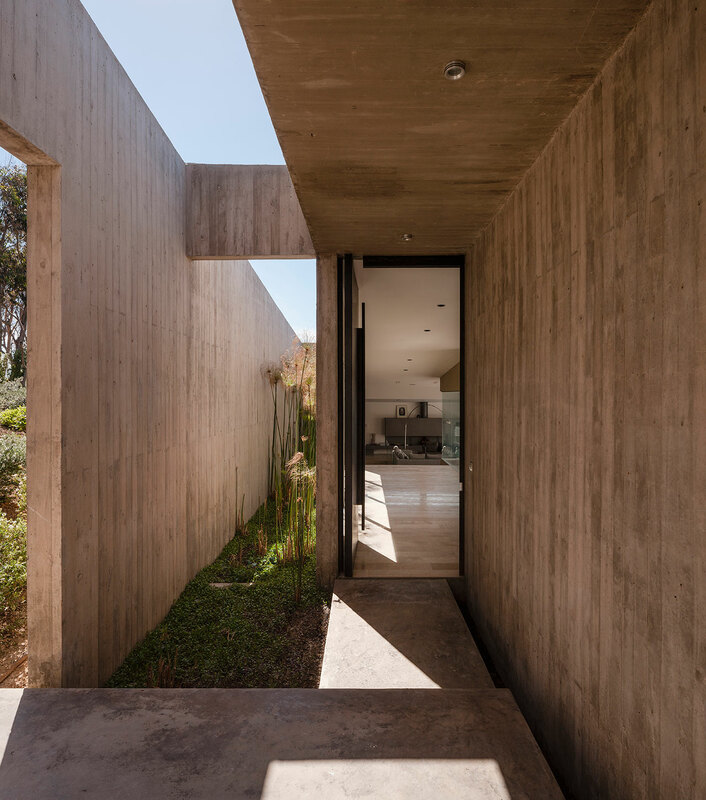 Designed by Santiago-based studio Felipe Assadi Arquitectos, the house’s rectilinear form is slanted to accommodate the slope of the terrain. 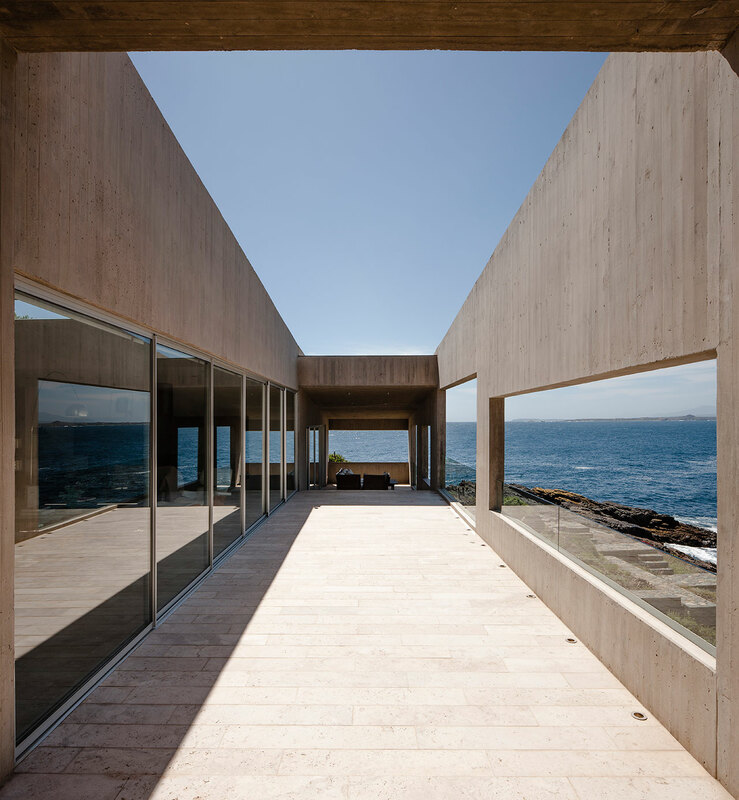 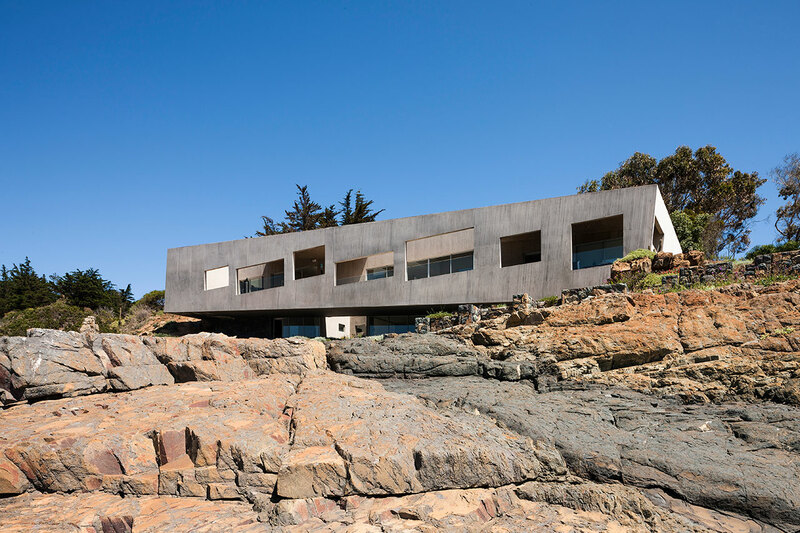 This inclination, combined with the irregular openings of the sea-facing facade, gives the impression, when viewed from across the bay or the adjacent pebble beach, of a deformed modernist structure. 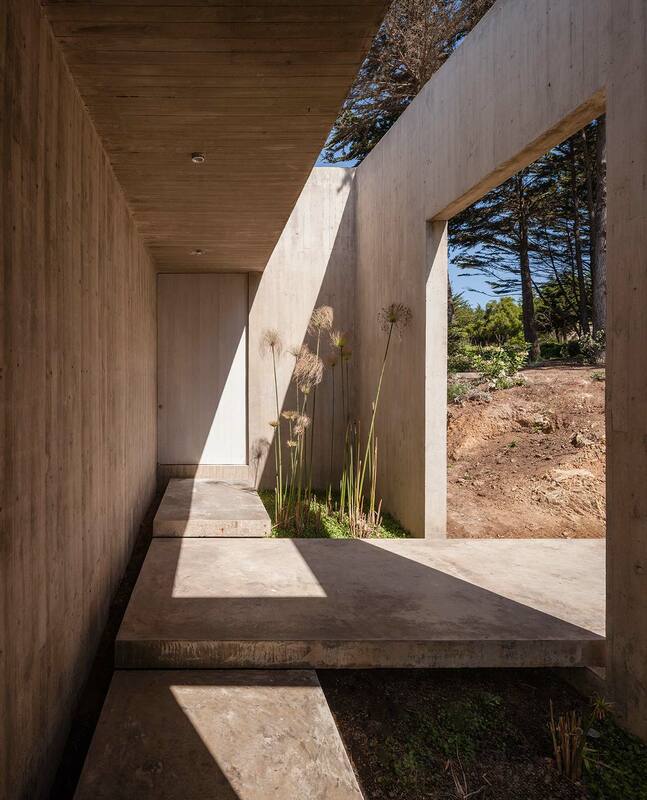 It's as if the building humbly kowtows to the power of the landscape. 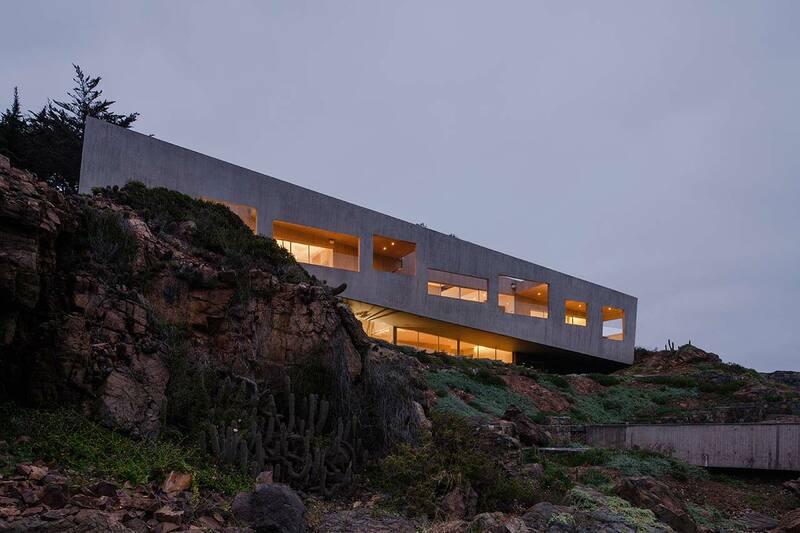 The two-storey building is accessed through an irregularly paved pathway from the hillside on the back and features an elongated plan that unfolds as a stepped sequence of spaces across several semi-levels, in what is a relatively conventional layout which the slanted facade mischievously hides from the outside. 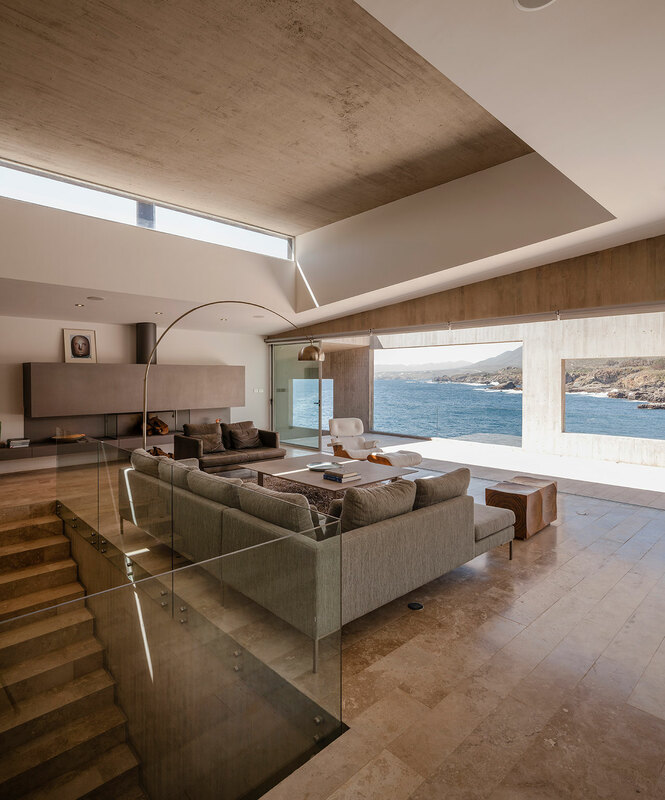 The upper level houses the living and dining rooms in an open-plan layout, adjoined by the kitchen and one of the bedrooms on either side. 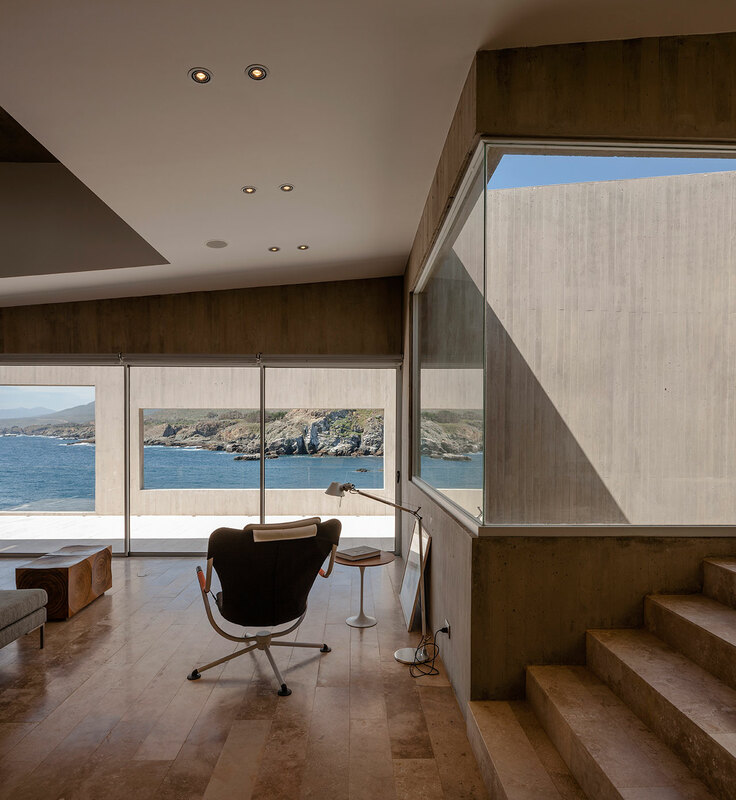 All the spaces open up onto a wide balcony that runs along the length of the building following the stepped layout of the interior. 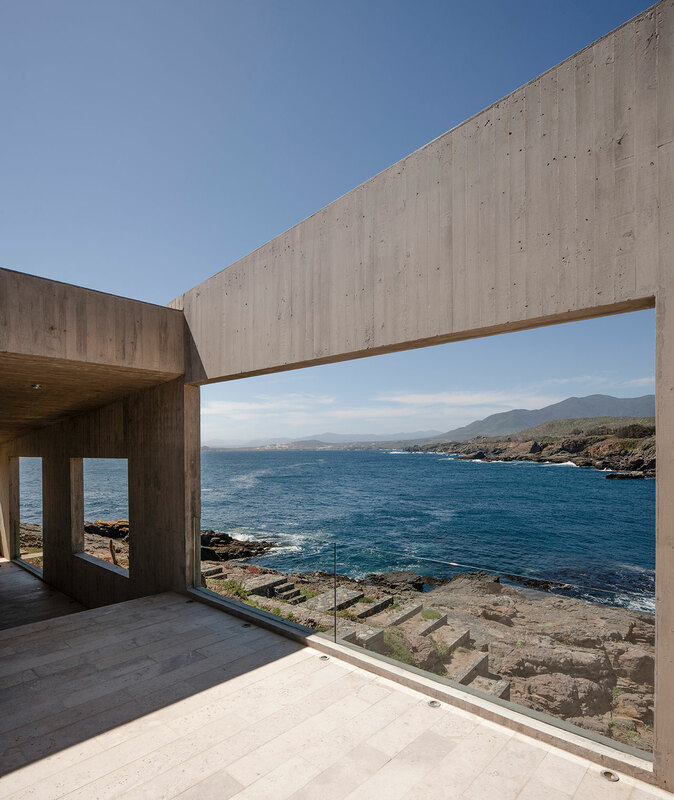 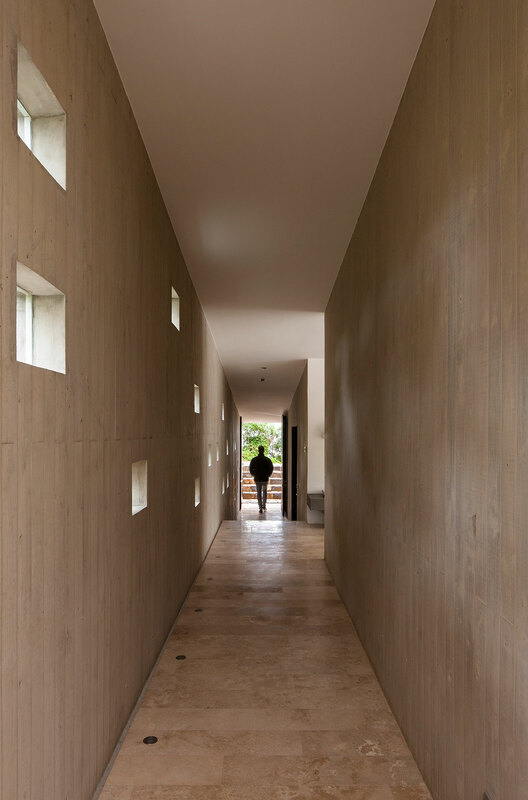 Buffering the balcony, the concrete facade features irregularly cut large openings that frame the views of the picturesque landscape in different ways depending on your location in the house. 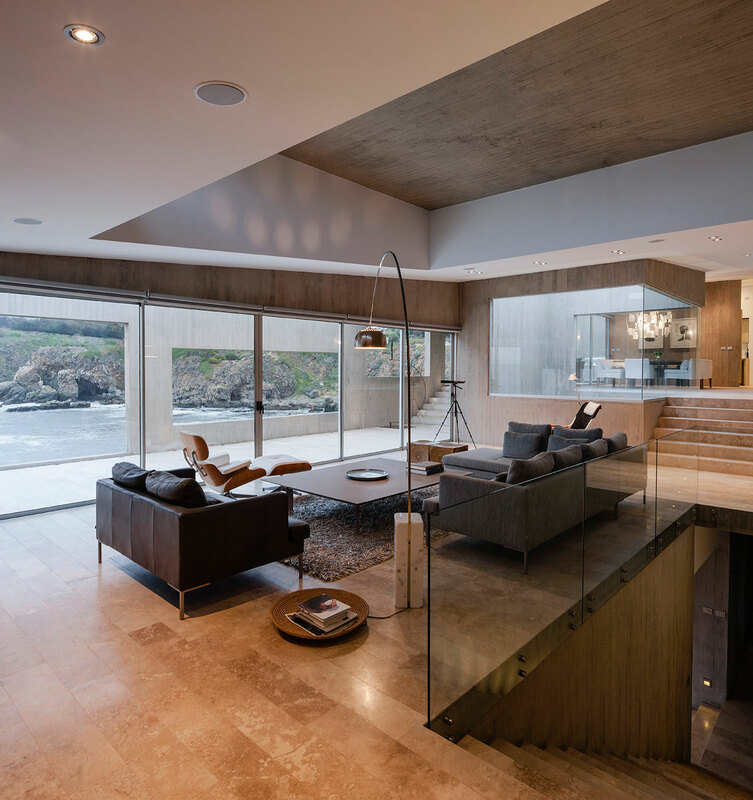 On the lower level, which is built against the rocky hillside, two more bedrooms and a lounge area follow the stepped layout of the upper floor. 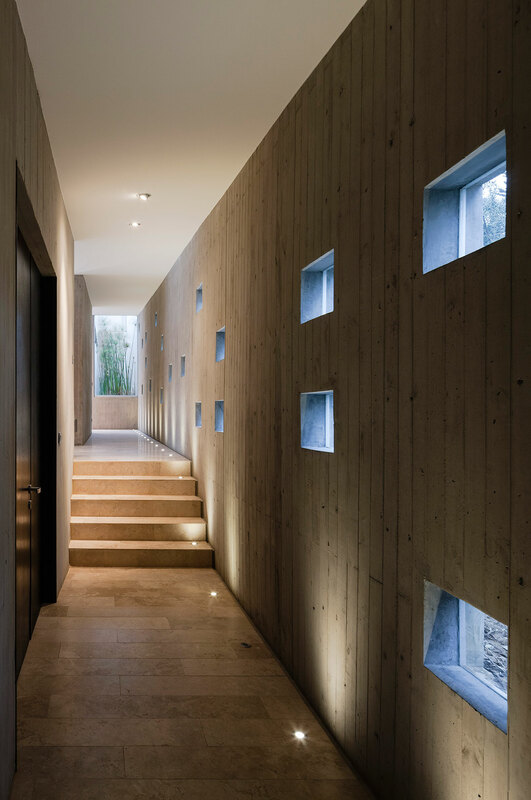 The views of these spaces are framed by a continuous, ribbon-shaped, slanted opening, created by the upper level's cantilevered balcony and a stone wall buffering a narrow patio that runs underneath it.